Quite often, when you think of a luxury car, you think of a German car. Over the last century and change, they have perfected the sleek look, purring engine and lush, leathery interior of what we now know as a luxury car. Visit any luxury dealership anywhere in the world, and you are guaranteed to find at least one German brand, if not four or five. But what led to this ubiquity of German luxury cars, and how did German car manufacturing become so synonymous with the luxury tag? To answer that, we’re going to look at the history of the German automobile, from its advent in the 1800s, through the terrible run of world wars in the 20th Century, and into to the present. If you’ve been following this blog, perhaps you’ll remember back in May when we did a spotlight on Italian cars (if not, we encourage you to check it out). While the Italians have cornered the “exotic car” market, making barely street legal racing-style cars, Germany opted for a more measured approach, mixing the cutting edge of engineering and technology with the demands of the common consumer. Let’s take a look! Henry Ford scoops up a lot of credit for being the first person to mass-produce a car (the Model T), but it was Karl Benz who invented the car. An engine maker by trade, it was Benz’s brilliant idea to affix one of his engines to a three-wheeled wagon that put him in the history books. Called the Benz Motorwagen, it was the world’s first car, and would obviously go on to change human transportation for the better. If it weren’t for Karl Benz’s big idea, you would be able to lease a luxury car in Toronto, Vancouver and Halifax from AUTO ONE Group – now, what kind of world would that be? But Karl Benz is perhaps better known today not for inventing the car, but for merging with Daimler-Motoren-Gesellschaft to become Daimler-Benz – or, as the branding on their cars was known, Mercedes-Benz. Joining forces in June of 1926, these two titans of the German automobile industry created what is now perhaps the most popular luxury car brand in the world. Audi – which got its name from the Latin “audire”, or, “to listen” – was hit hard by the Great Depression in 1930s Germany. But rather than roll over and die, as many automobile manufacturers were forced to do, Audi joined forces with three other manufacturers, Horch, DKW and Wanderer, to become the Auto Union. In fact, it was these four companies coming together that gave us the four-ring logo, which still survives as Audi’s logo. Audi has been a success story pretty much ever since, and has gained extra attention in the 21st Century for making powerful, reasonable luxury cars. The Bavarian Motor Works started out making engines for aircrafts, and it wasn’t until after the First World War that they pivoted into car manufacturing, going by a much more stripped down name – BMW. After the Second World War (during which they reverted to making aircraft engines), many of BMW’s facilities were left bombed and levelled, and so the company began the task of rebuilding. 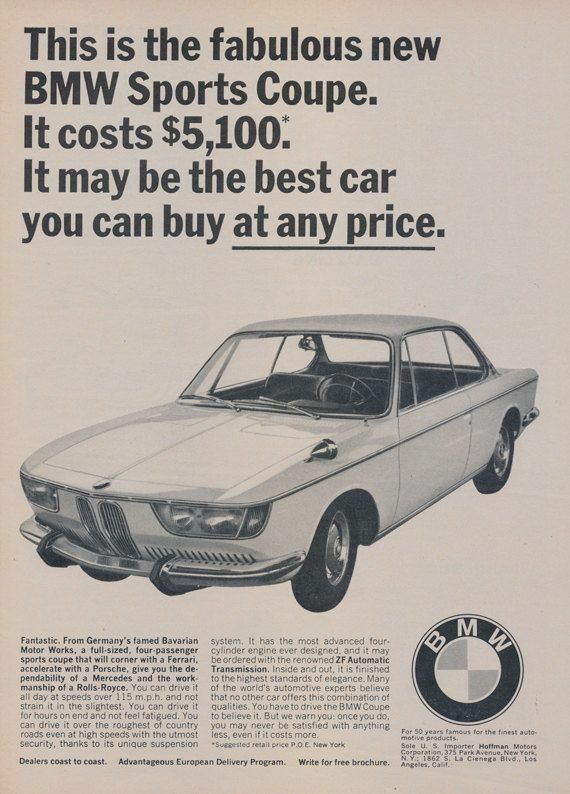 It wasn’t until the 1960s, when BMW unveiled their Neue Klass (New Class) of sedans, that they really became the company we know them as today, making slick, quick and good looking cars. Almost all German car manufacturers were involved in WWII in some way, and the terrible regime that started the war, and almost all German car manufacturers paid the price; many facilities were heavily bombed. The silver lining for the German car industry would come after the war, when other European countries incentivized Germany (now in shambles) to run a trade surplus. This kickstarted the German car industry in a big way. While Ferdinand Porsche is credited with founding the Porsche company (and also creating the Volkswagen Beetle, incidentally), it was his son who had the bigger impact. Ferry Porsche, after WWII in 1948, created Porsche’s first sports car, the 356. Big in the racing car industry, Ferry Porsche, and the company in general, strove to make faster, more efficient cars. Nowadays, they remain some of the fastest and most well made cars out there, and you can drive one easily with our car subscription service. Just download the app, sign up, and you’re free to drive whatever you want. The ensuing years have been good to the German auto industry. In North America and elsewhere, German cars, because of their fastidious engineering and efficient designs, became prized as status symbols. While Ford may have been making cars that the common household could afford, the Germans were striking off on a new path, looking to improve the automobile in every conceivable way. It is this constant search for perfection, above all else, that has made German cars synonymous with luxury cars. 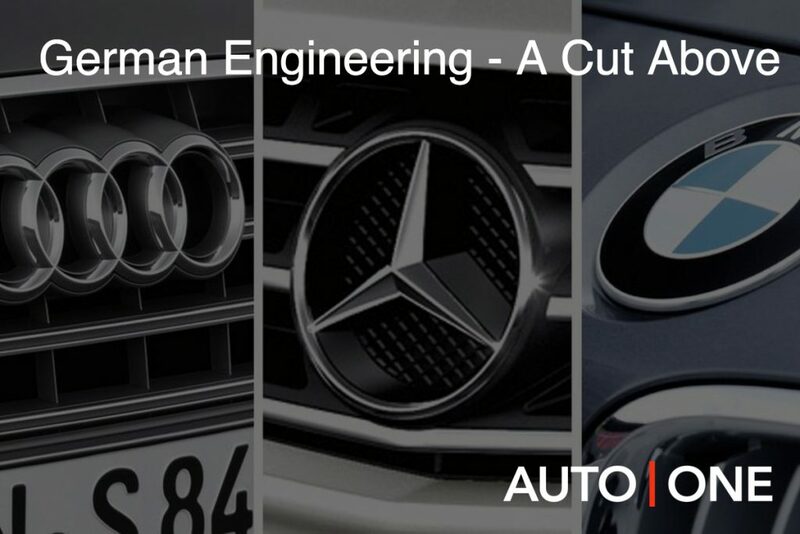 At AUTO ONE Group, we’ve obviously seen our fair share of German cars, regularly keeping Audis, BMWs, Benz’s and Porsches in our nationwide inventory. And now, with the launch of our Drive app, a car subscription service, these luxury cars have never been so accessible. Once only affordable to the well to do, these German brands are now driveable with the press of a button. Just head to our website, get the app and sign up – with virtually no bureaucratic hoops to jump through, and quick (think 30 seconds quick) credit approval, you’ll be browsing the best cars Germany has to offer. The story of the German auto industry is one of humble beginnings, regrettable wartime, painstaking postwar rebuilding and relentless perfectionism. Today, German cars look better than ever, and although they are seeing increasing competition from other parts of the world looking to get in on the luxury game, they remain some of the best. It will be exciting to see where they go next!